Anti-Slip Adhesive Tape provides extra traction on slippery surfaces such as hazardous floor areas, industrial machinery, playgroup apparatus, stair treads and various other potentially slippery areas. It is designed to provide a quick, effective and economical solution to the problem with a self-adhesive back for ease of installation. It can be used indoors or outdoors and is resistant to water, motor oil, detergents, solvents and UV light, providing a wide variety of anti-slip solutions. Yellow/Black: for low head room hazards, changes in floor levels, mobile equipment and placing around notices. Red/White: for locating fire equipment, placing around prohibition and indicating inflammable areas. Green/White: for placing around fire escapes, safety equipment,first aid posters and equipment and breathing apparatus. We provide BS Pipeline Marking Tape. Suitable for use at filling points, drain valves, stops and flangging points. It is recommended that pipes be clearly labelled at points where contents of the pipes could be exposed. 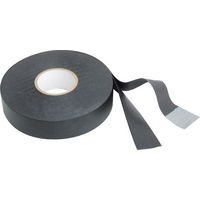 Polypropylene coated vinyl tape for durability. 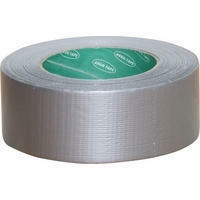 We supply Cloth tape which is an adhesive tape made with a cloth backing or core. 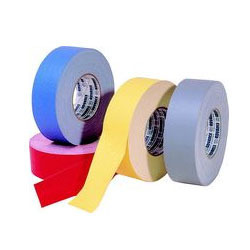 The use of cloth makes the tape especially durable and rugged, and promotes flexibility, which can be valuable for certain projects. 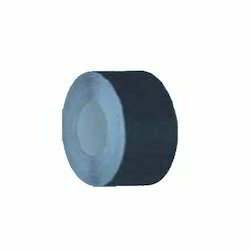 These are widely appreciated for resin surface compatibility, high tensile strength, heat resistance and low density. They are available in competitive prices and also according to the specifications of the customer. 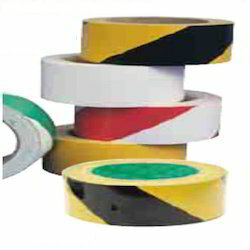 Advance Waterproof Cloth Tape is used at building sites. 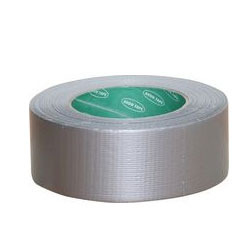 This is a strong, waterproof, cloth tape with the strength to perform a range of jobs on site including joining polythene sheeting, masking off during renovation or repair on metal, wooden and concrete surfaces. HVAC Engineers: for sealing metal or plastic ducting, cladding and unfaced fibre panels. 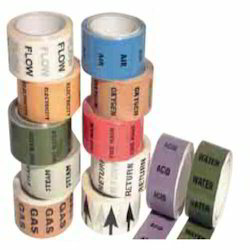 A polyisobutylene (PIB) emergency repair tape that bonds with itself to form a waterproof seal for fast, temporary repairs to hoses and water pipes. Impervious to water, vapour, heat, light, seawater and much more. Looking for Adhesive and Sealants ?